UltraVet Medical Devices is currently hard at work developing a new innovative bifurcating bronchial stent. 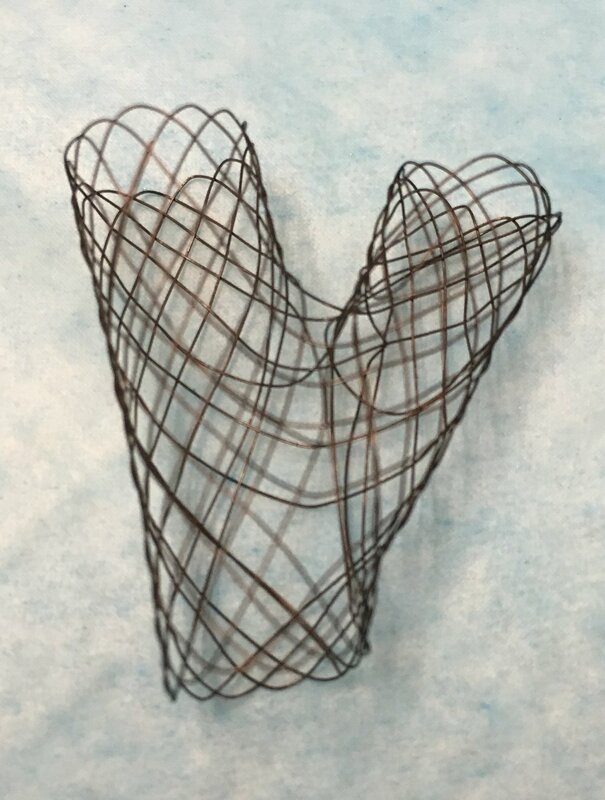 The Bifurcated Bronchial Stent is designed to treat patients with severe airway disease who would not benefit from a standard straight stent. The bifurcated design addresses collapse of the left stem bronchus as well as LB1 and LB2, thus providing superior treatment over a straight stent for complicated cases. Causes of Bronchial collapse in dogs include Chronic bronchitis, Neoplasia, Heart disease, Chondromalacia or Strictures. Collapse can occur in a discrete location, or multi-focal, and may be an extension of tracheal collapse. Symptoms of bronchial collapse include: Coughing, Dyspnea, Tachypnea, Expiratory push, Wheezing, Syncope and Cyanosis. Treatment for most cases of bronchial collapse consist of a combination of medical therapy including cough suppressants, antibiotics, bronchodilators, anti-inflammatory medications (e.g. corticosteroids), and sedatives. Bronchial stenting is appropriate in cases where medical therapy cannot adequately control clinical symptoms. The best candidates for stenting should have discrete collapse in one or two bronchi with normal appearing airways throughout the rest of the bronchial tree. Careful case selection is very important to assure a positive outcome--patients with chronic bronchitis and multifocal collapse or diffuse chondromalacia are not good candidates for the procedure. Top Left is an image of our bifurcating bronchial stent prototype. Development on this device continues. Click the video to see the stent at work. The next photo shows a cadaver broncus with BBS. If you have a patient that you think may benefit from a bifurcated bronchial stent, please CLICK HERE or call us at 631-285-7343 for a review of your case and potential purchase.